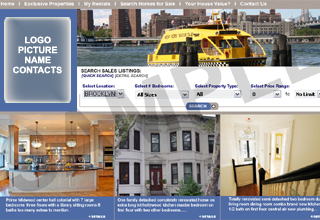 IDX/RETS data integration for agent web site is available. 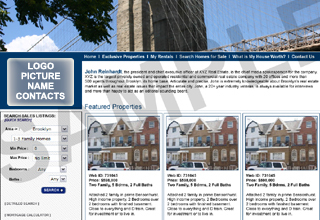 Check with your local MLS if they support IDX to provide data or call us @ 718-366-2155 to discuss more options. Please be aware we only provide services with raw IDX or RETS data. 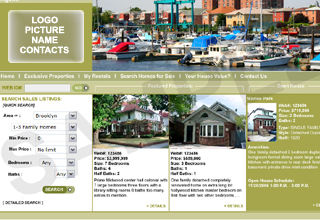 These affordable web template based web sites for Real Estate Agents /or small RE Brokerage Firms come with its own Admin Panel (PRO5 Light - demo available per request!) 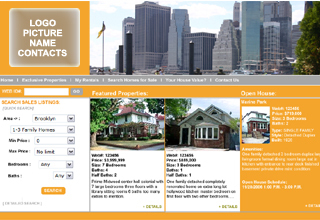 to manage your exclusive properties and maintain web leads capturing through web forms from listing details page. Optional features include: MLS/IDX Integration, interactive searches, interactive maps and more (site owner is responsible to provide applicable accounts). Agent Profile - this is a self editing page accessible from Admin Panel; however, it is advisable to send us one or more digital pictures of yourself and text description for your agent profile page. Support/ and training - up to 1 hour by phone in a period of 30 days of purchase. Other colors/ templates available, feel free to give us a call to discuss your design-ideas. Note: sample graphical templates above shown with interactive property searches; this searches available with MLS/IDX data integration and not included in a basic set up. MLS/IDX integration (raw data) is optional and is a subject of providing an appropriate account by site owner. Payment terms: credit card as preferred payment.